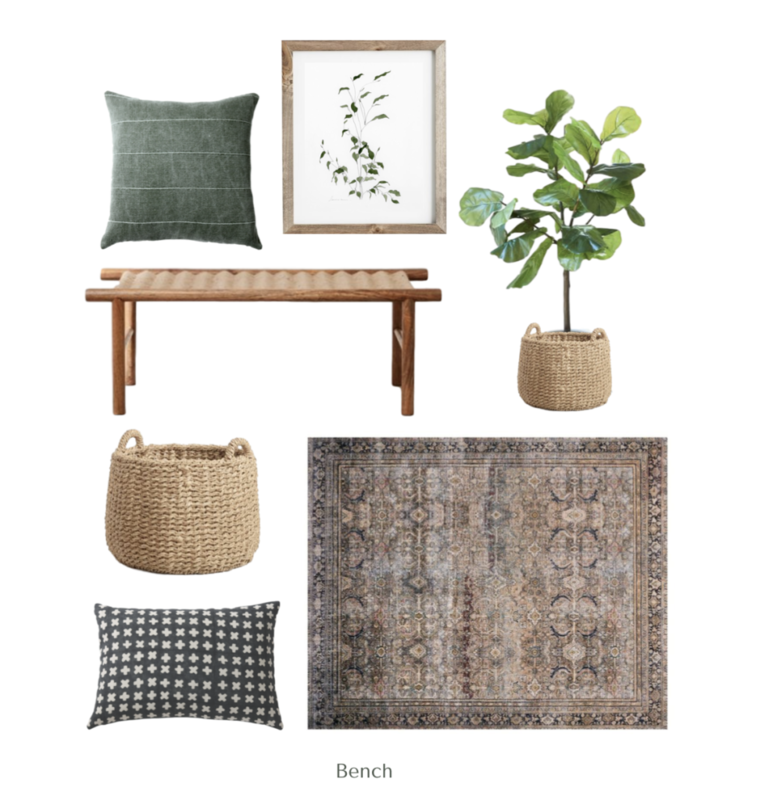 Today I am sharing 2 design ideas for your entry! 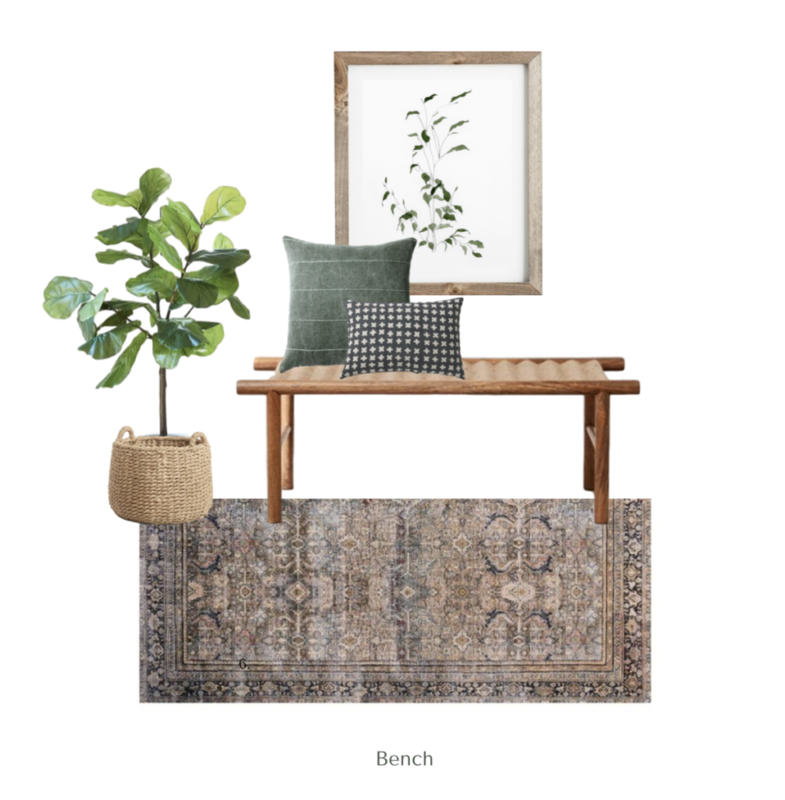 In the first design I used a console table and for the second design I went with a bench! I can’t decide which one I prefer, although I really do love having a lamp at my entry! I am loving this rug! It won’t show any stains and the price is right. This entire look is under $600.00. I also love the practicality of having a bench to sit on so you can easily take on and off your shoes! This entire look us under $650.00. Which one do you prefer? Bench or Console? 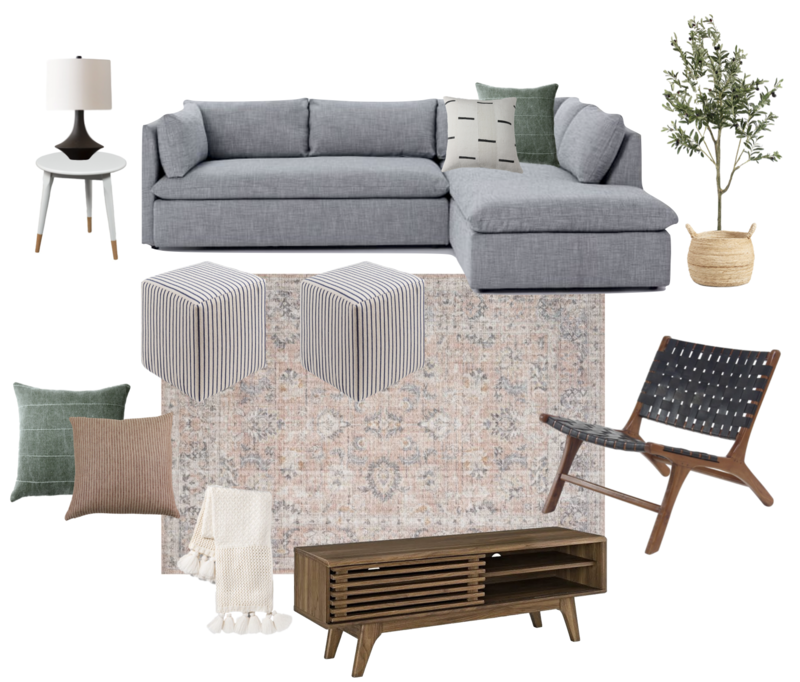 Living Room Design for under $2000.00! 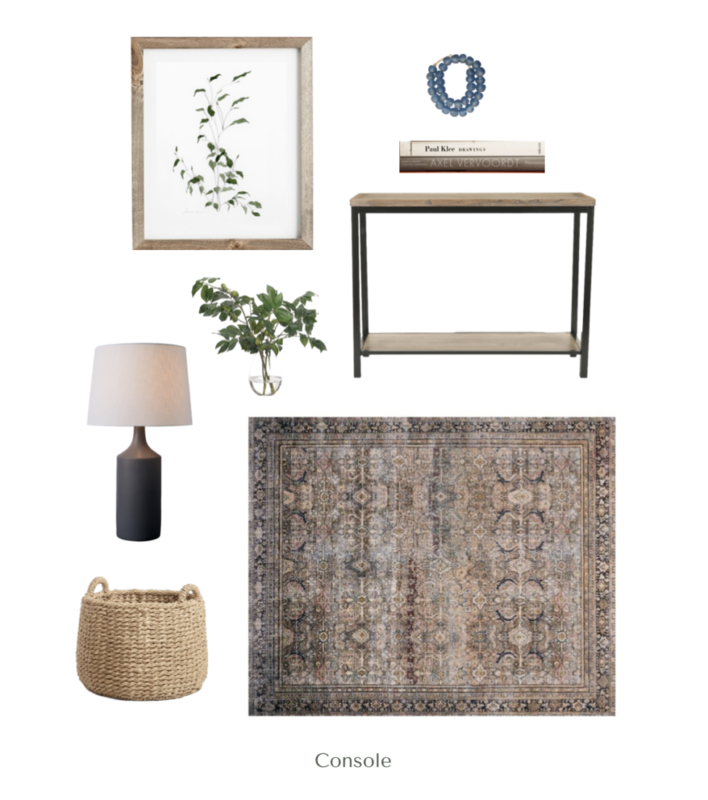 2 years ago when we moved to Madison, I created a design board for my my living room. Today I am sharing the same style but I gave it a little refresh! 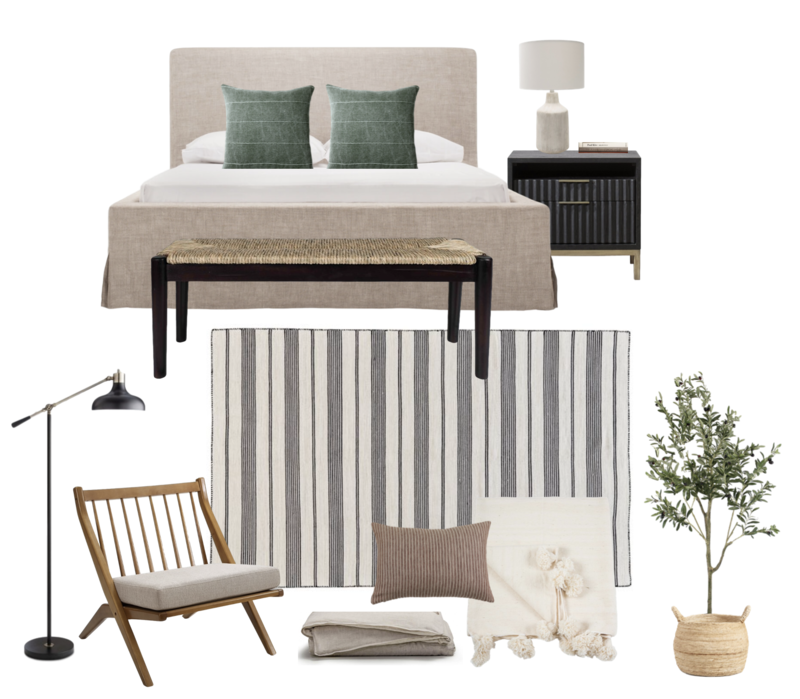 You can get this entire look for under $2000.00! 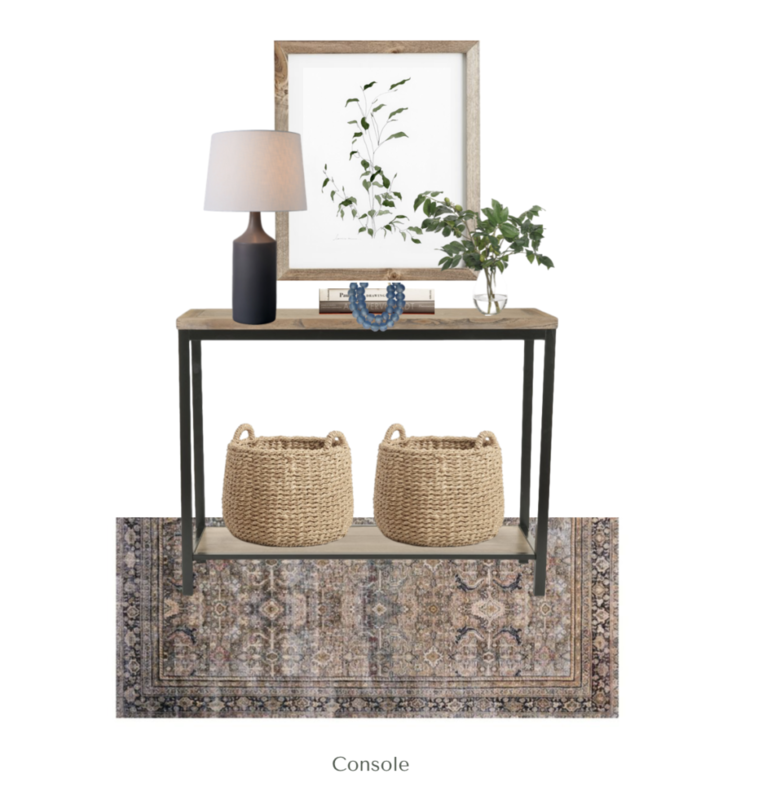 Not bad for a cute little family room design! I am also loving the blue, green, and rust color scheme! You can get this entire look for $3600.00! Also, if you wanted to spend a little less, this bed would be an awesome option and for half the price! 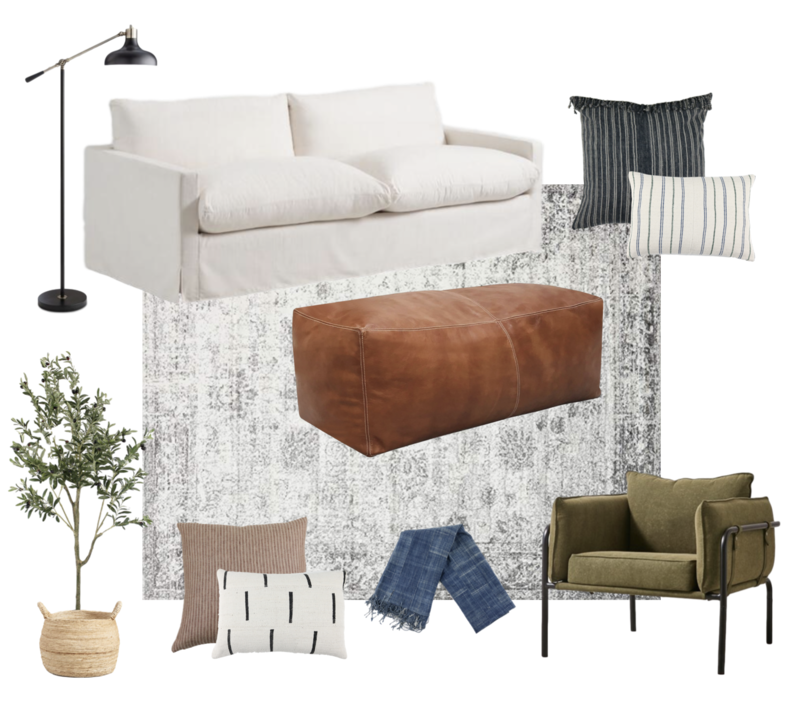 Today I am sharing a super cute and playful basement design board! This is the perfect space for your kids to hang out with friends or a great room for family movie night! I selected higher quality items that will last years and mixed in some great deals too! With that being said, you can still get this entire look for $4000.00!